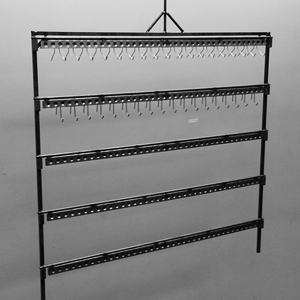 Magic Rack® MP racking systems use a patented spring torsion wire form and square tube to connect multiple tiers. 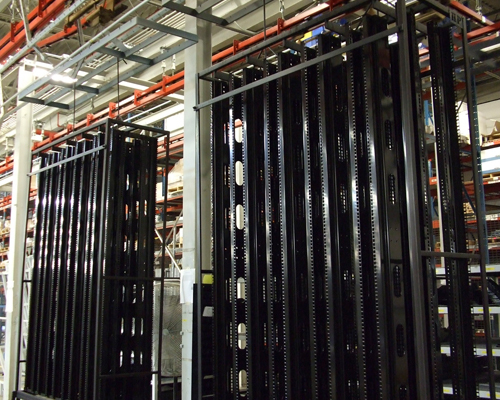 Electrical conductivity is re-established each time a pre-painted crossbar is inserted without removing the racks from the line for cleaning. 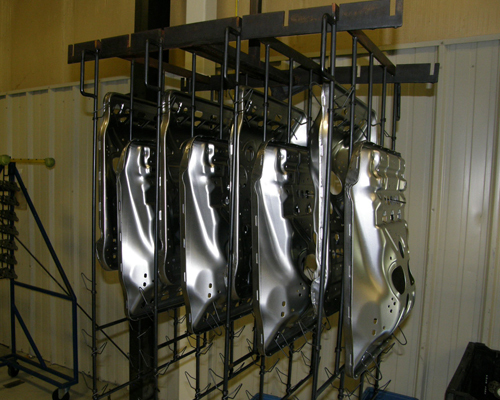 Painted horizontal bars can be adjusted instantly to hold different parts for maximum line density. No bolts. No welding. 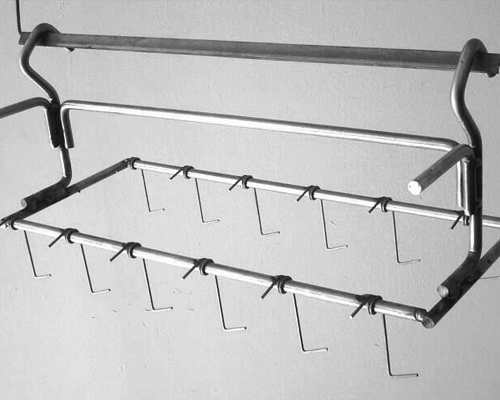 Connection tubes, open on both ends for draining, can be welded as close as 3″ on center to hold the maximum number of crossbars allowed in a rack. 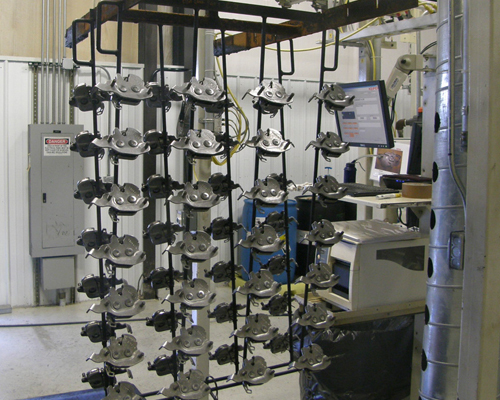 Heat-treated, stainless steel torsion spring wire forms absorb stresses from handling for maximum durability, and withstand up to 800° burn-off temperatures. 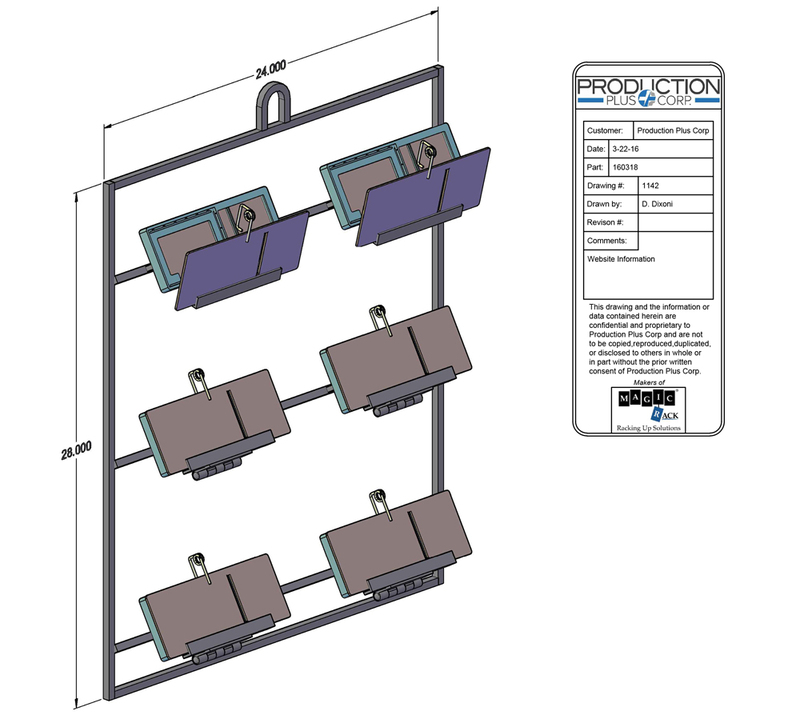 Standard 40-3 / 4″ width provides maximum density on 48″ standard hang points with 30° inclines and declines. 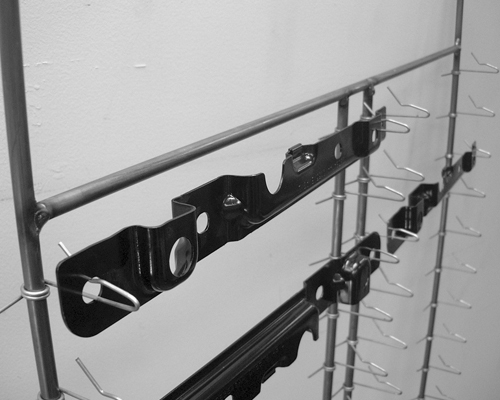 Custom rack widths available.